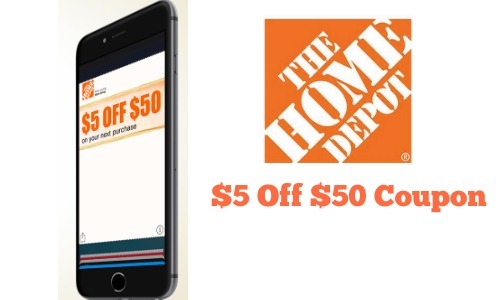 You can get a Home Depot coupon for $5 off a $50 purchase. This is just in time to spend on sprucing up the yard for Springtime. To get this coupon, enter your phone number and email address. You should get an immediate response asking you for confirmation and your coupon should arrive within a few minutes. You can sign for this coupon and text STOP to stop receiving additional messages. This might not seem like a huge savings but every bit counts!